I talked about the first 2 days of my trip to NYC the other day, and today I'm talking about the second two days! 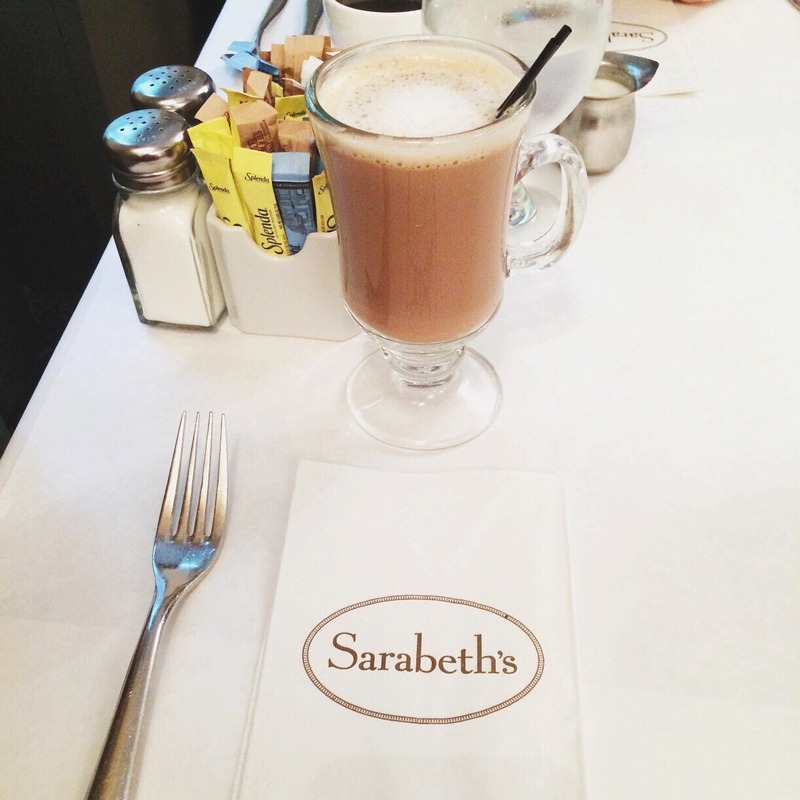 We started our third day with brunch at Sarabeth's Central Park South, which was very nice! 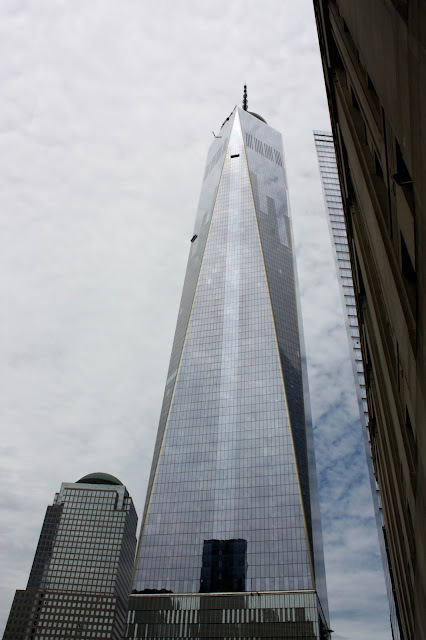 We then took the subway down to the World Trade Center. The new One World Trade is such a beautiful building, we wanted to go up to the new observatory on the 100-102nd floors, but the line was just insane. It probably would have taken several hours to get through it, and it wasn't the nicest day outside so we don't know how the views would have been anyway. We saw the memorial, for 9/11 which was beautiful. 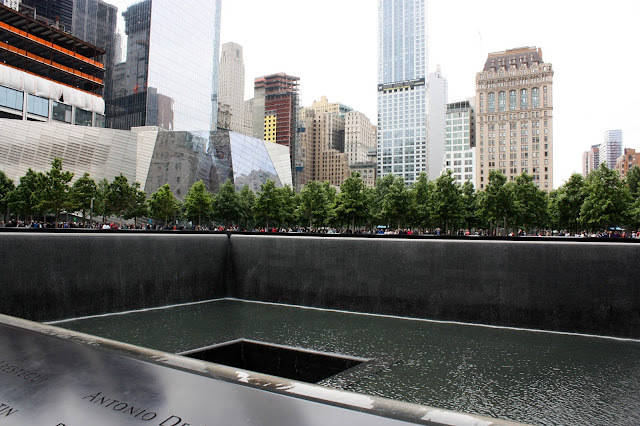 However, it was kind of sad that some people there were very disrespectful and were using selfie sticks, taking selfies of themselves with the memorial of this tragedy. This trip kind of made me hate selfie sticks, people were using them here and even sitting in their seats at Broadway shows. 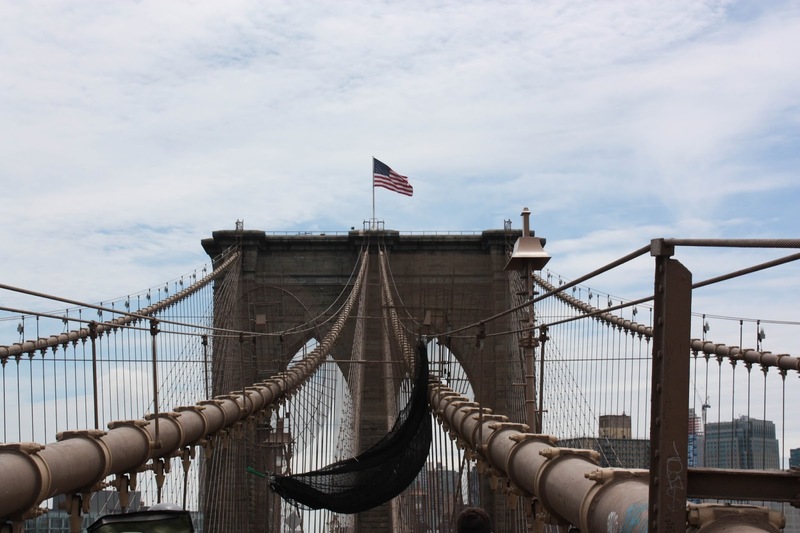 Then we went down to the Brooklyn Bridge, the view was great but finding it was kind of difficult because there was a lot of construction going on around it. 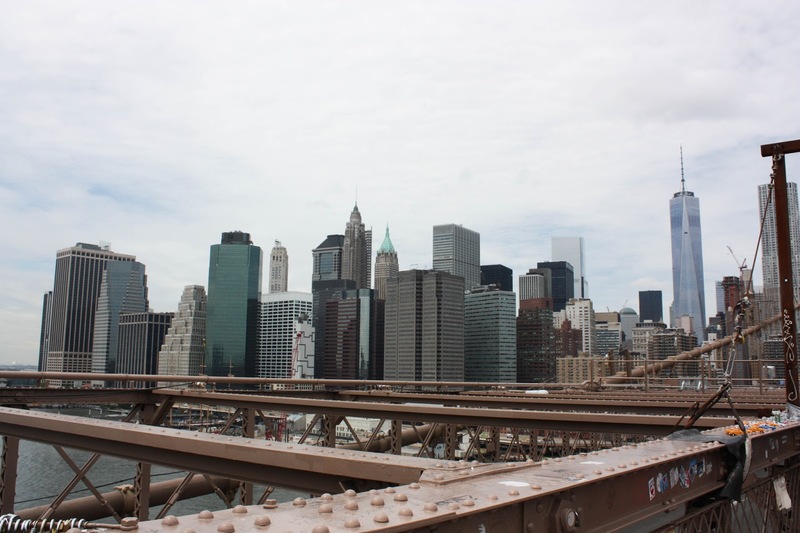 We didn't go all the way to the end of the bridge for the same reason, but we did get some nice views of the skyline, and the Statue of Liberty. We went back to Midtown and went to this cute little French restaurant called Papillon off of Madison Ave., which we both loved! 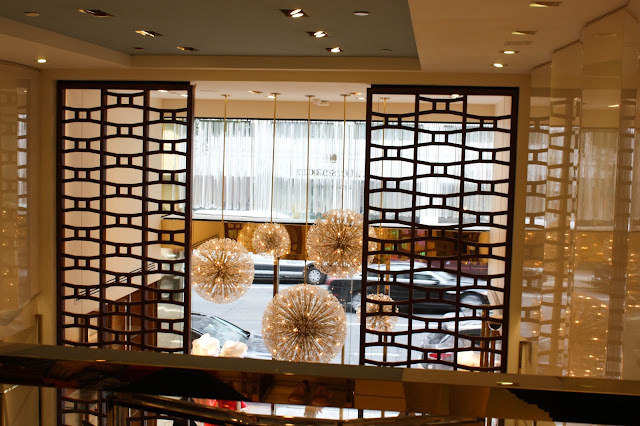 After lunch we headed down to the Kate Spade Flagship store, which was so beautiful. It has 4 floors, and everything from the chandeliers to the dressing room wallpaper was just perfect. They surprisingly also had some great shoe deals, so we got this giant bag. 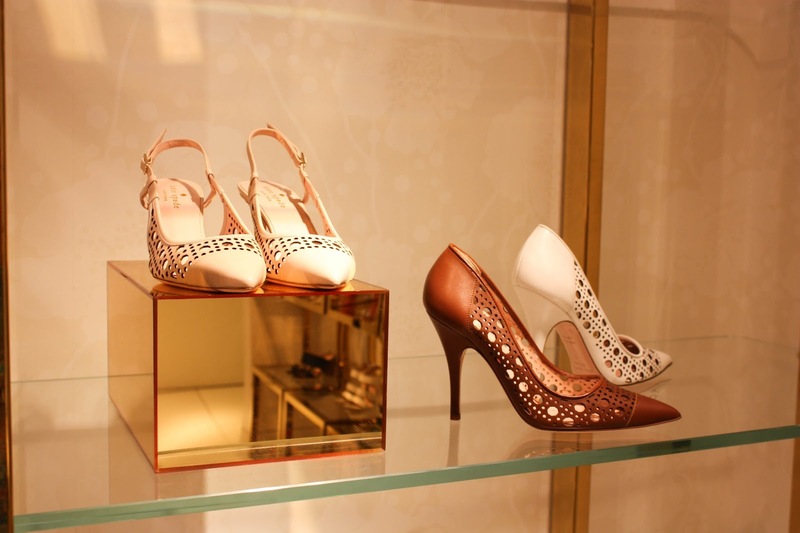 This pair that I got will on the blog soon! 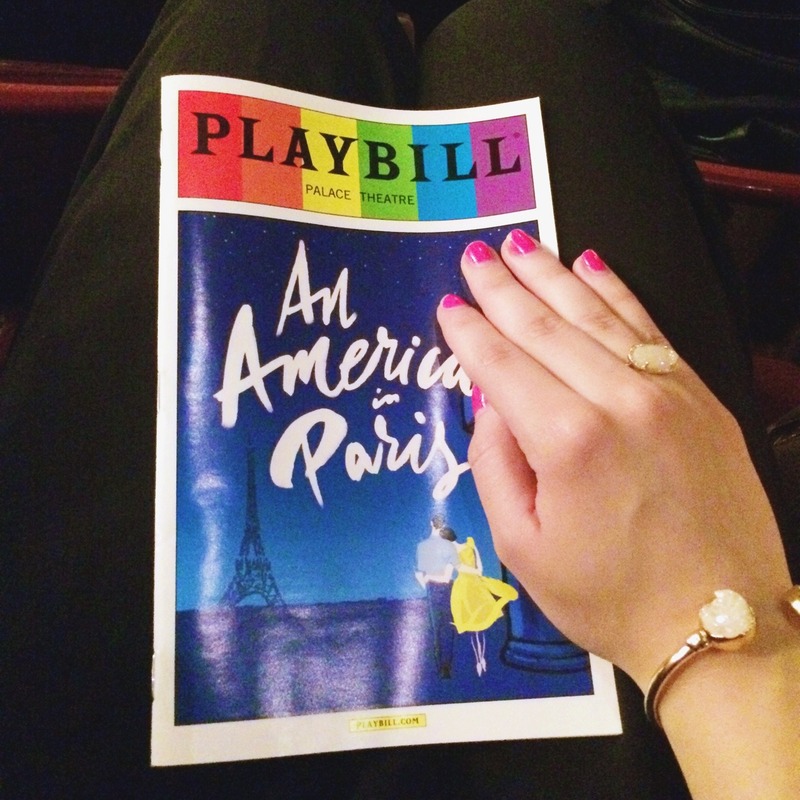 Then we went to the bar in our hotel for a little, and headed to an American in Paris on Broadway. Earlier that morning we were talking to our hotel concierge earlier in the day and he said he could set up transportation to the theater for us, but he did not know that the shows start at 7 on Thursdays, so the transportation was set up for 7:20. We did not think anything of it because they sent a typed up confirmation to our room and everything. So we arrived around 7:40 thinking the show started at 8...so we missed part of the first act but they did let us get to our seats even though we were that late. And the rest of it was absolutely amazing! It was such a great show! After the show we went to Del Frisco's Grille in Rock Center, and there was a lot going on at Rock Center for the Belmont Stakes that were the next weekend. 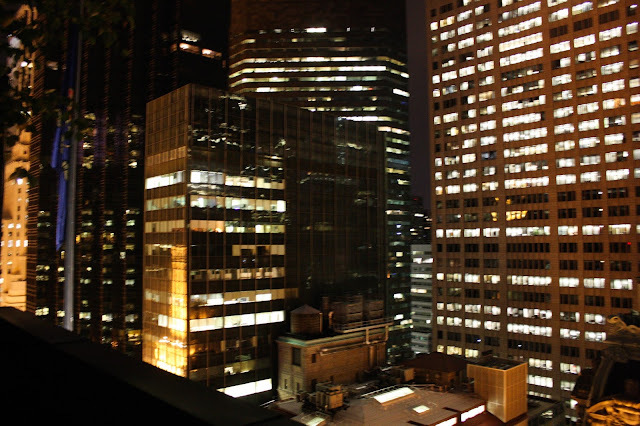 Since that was our last night in the hotel, we went up to the rooftop bar just to see it. It was very nice, but a little cold to be outside at night though. 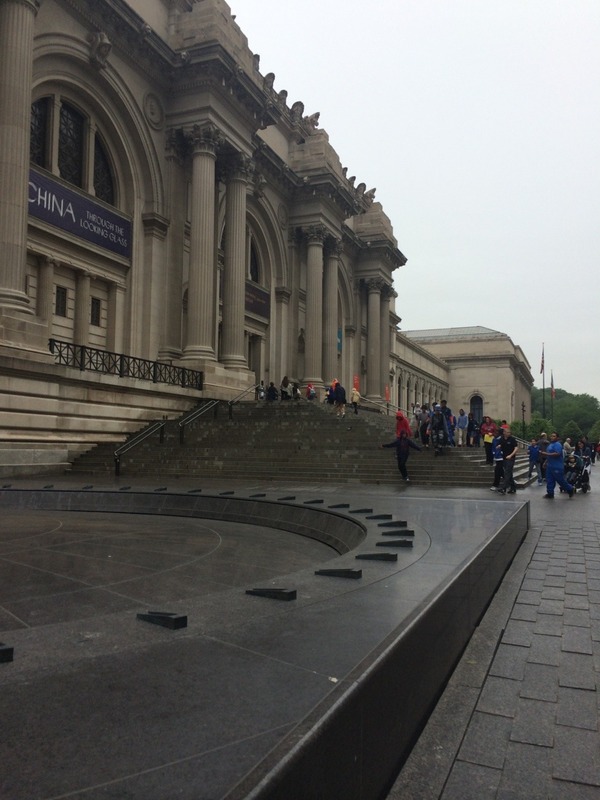 For our last morning we headed over to the Met Museum. 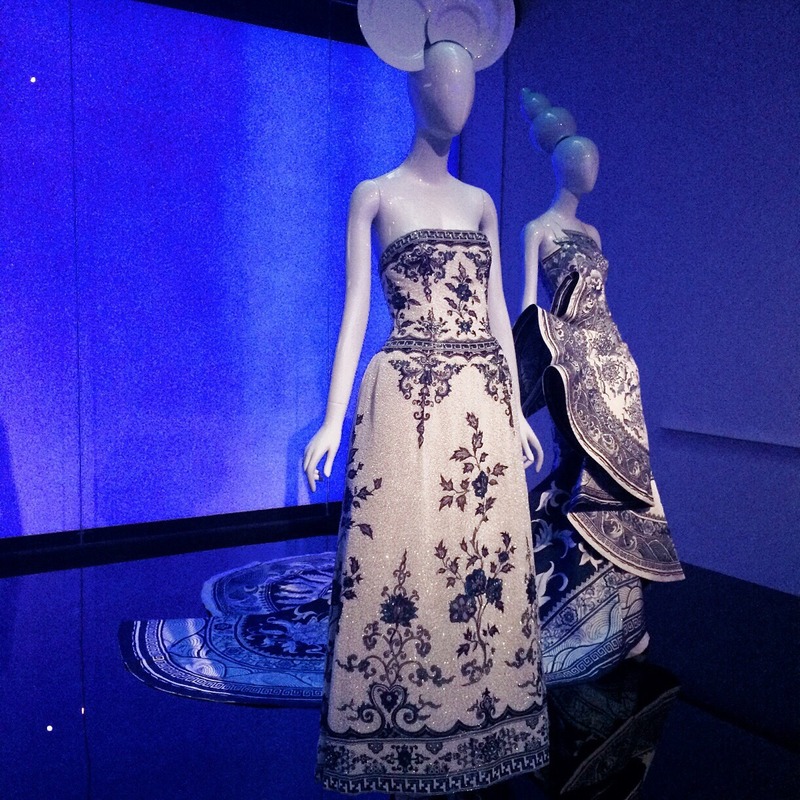 I really loved the new fashion exhibit, China: Through the Looking Glass. 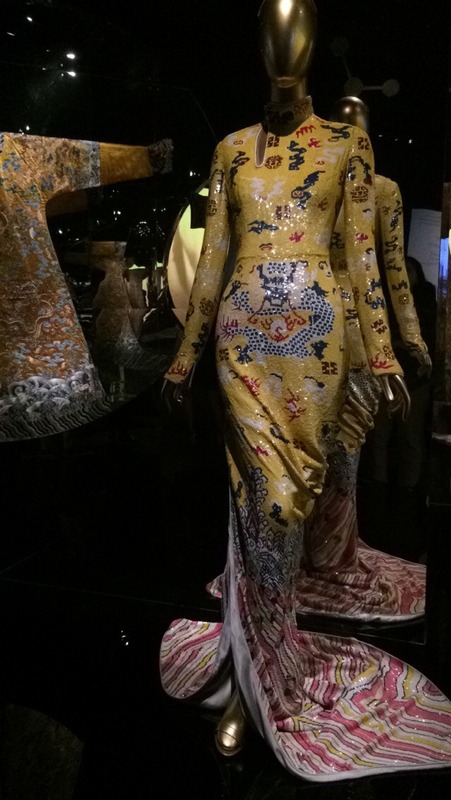 They had some of the most beautiful dresses made by designers like Chanel, McQueen, Dior, Marc Jacobs, YSL, and others. They had the traditional Chinese clothing, pottery, etc. that inspired these beautiful dresses. We also looked through some other parts of the museum, but there was so much to see there, we only saw a small fraction of it. We got lunch at a little place called Grazie, which was very good! And surprisingly, our cheapest meal, which is kind of funny because it was on the Upper East Side. 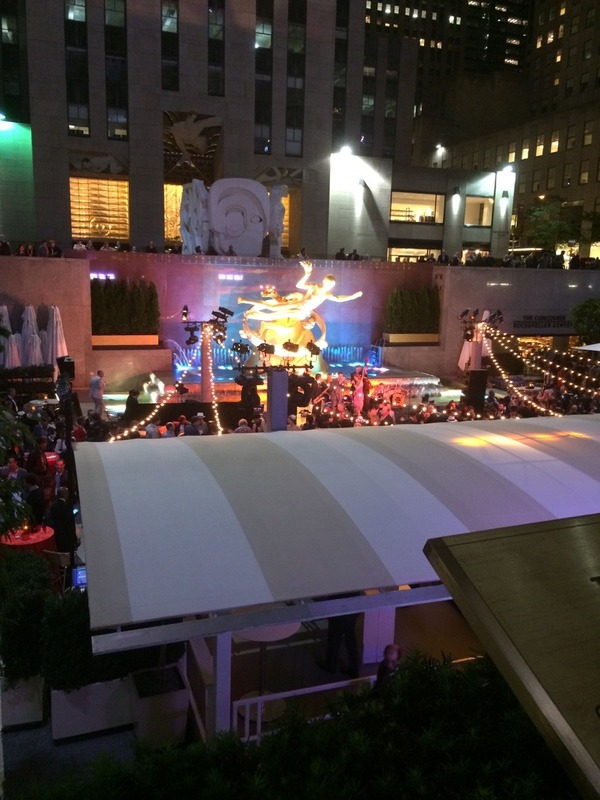 Then we went back down to the 5th Ave/Rock Center area for our last few hours there. 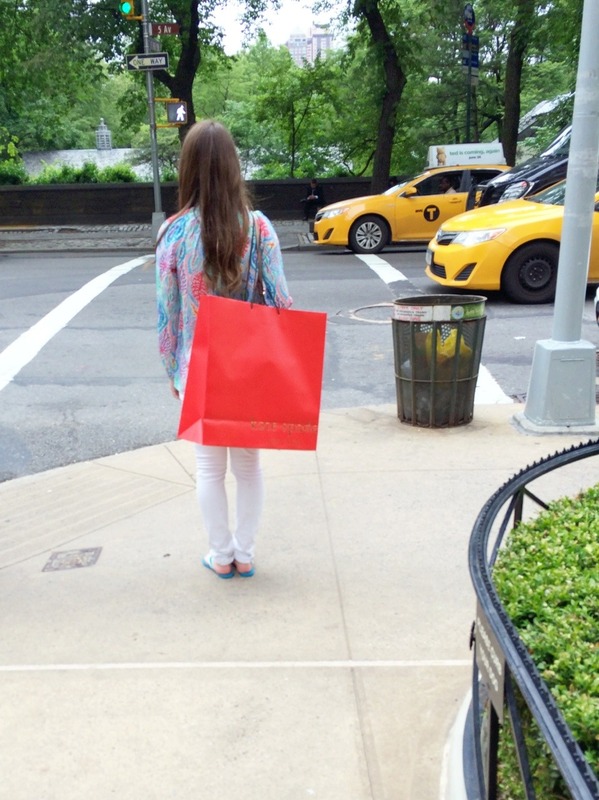 We did a little shopping and headed back to the hotel to get our bags and go to the airport. 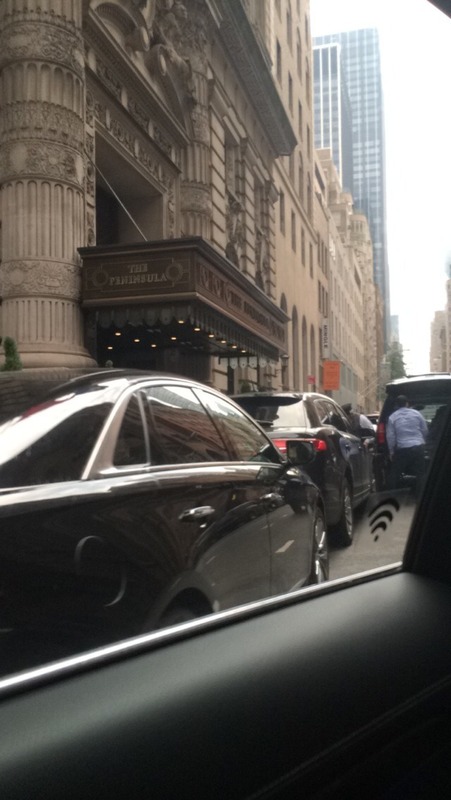 It was a really great trip, it was my first time seeing the city and definitely won't be my last! This looks like such a great trip! Sometimes I miss being able to go into the city at the drop of a hat. Looks like it was an amazing trip! 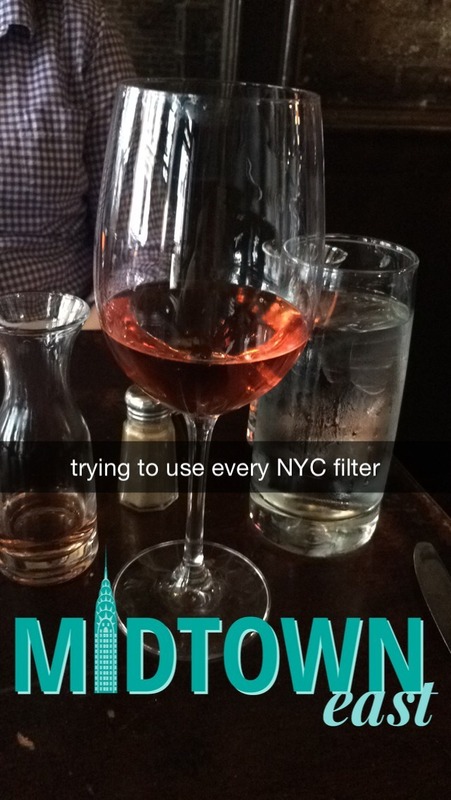 I miss being in NYC! !